Brian is a senior pursuing a financial economics & psychology dual-major with a minor in Korean Studies. He began playing rec volleyball in high school and took his game to the next level by joining the UMBC Club Volleyball team. Besides volleyball, Brian enjoys playing basketball and listening to music. Bobin is a senior pursuing an economics major. He began playing volleyball as a freshman in high school and was a two-time captain during his high school campaign. Besides volleyball, Bobin enjoys lifting weights and spending time with his friends. 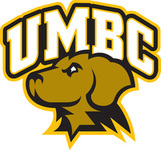 Hannah is a UMBC alumni who played on the UMBC Women's Volleyball team. She graduated with a degree in Biological Sciences.